If there’s one picture that sums up my life as a movie stalker, it’s this one. This guy was doing his job. He was polite. It doesn’t always happen that way. But yeah, he got in my shot and made this pic awesome. 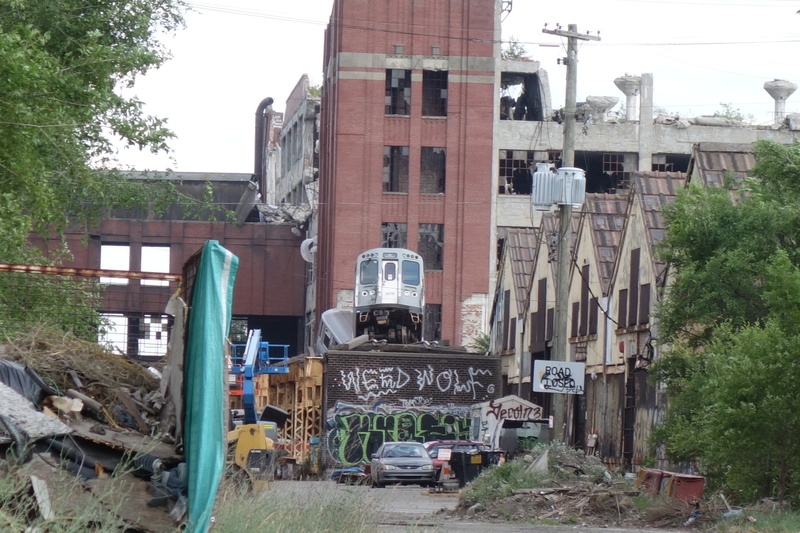 Anyway… quietly for weeks before anyone noticed, they built this very cool set in the old Packard Plant. Luckily I did get some good shots before I was spotted by this gentleman. I’m pretty sure that for a long time there was barely any security presence. 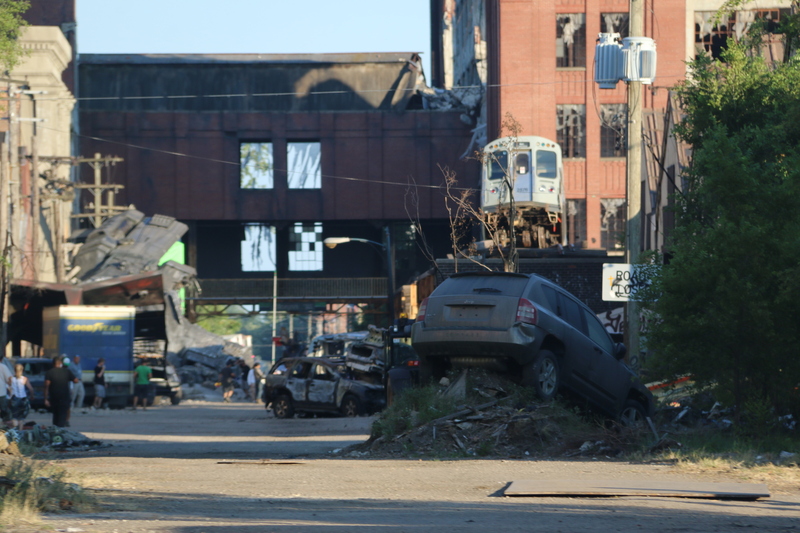 Having watched the trailer it looks as though quite a lot of the sequences were filmed on this set and the open area behind this which was impossible to see. I just love these detailed sets. 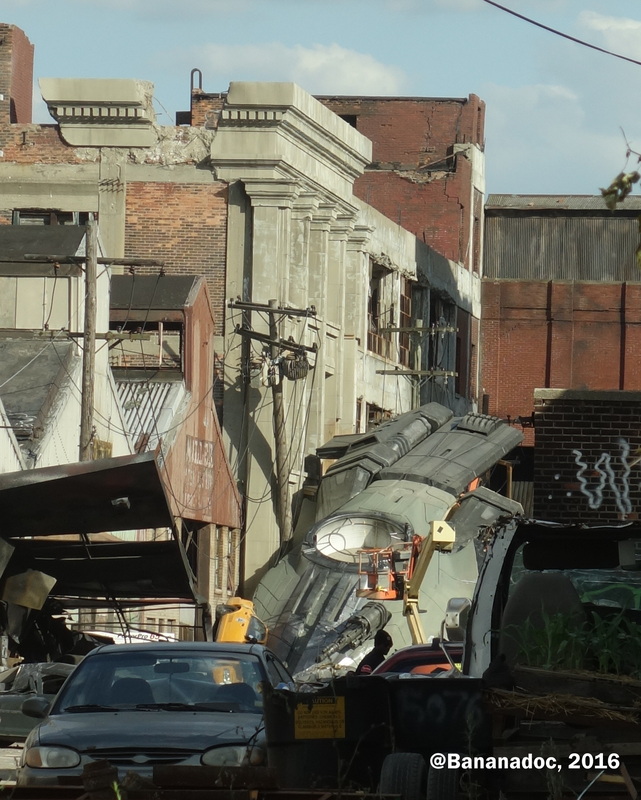 This wasn’t anywhere near as impressive as the Hong Kong set that was built right on downtown Detroit for Transformers 4, but still, this is cool. I wish I could have seen it close up. 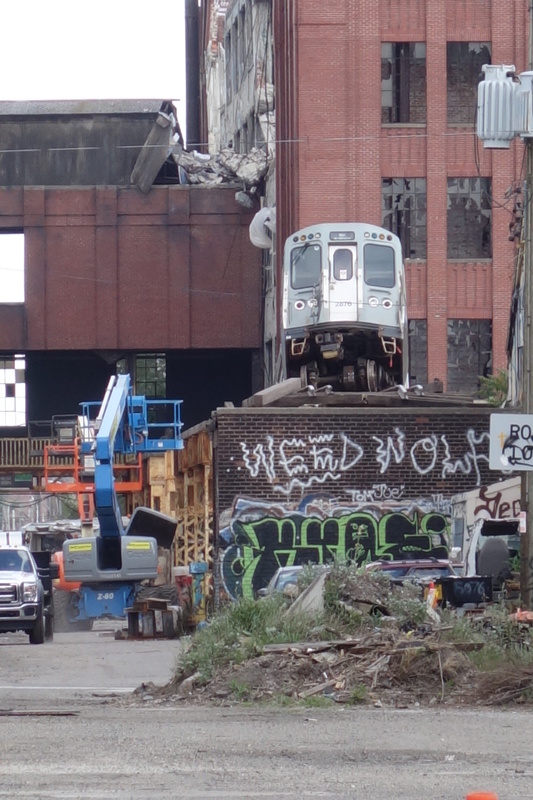 This set is supposed to be Chicago, I think. The building on the left that you can’t see very well is the facade of a bank. 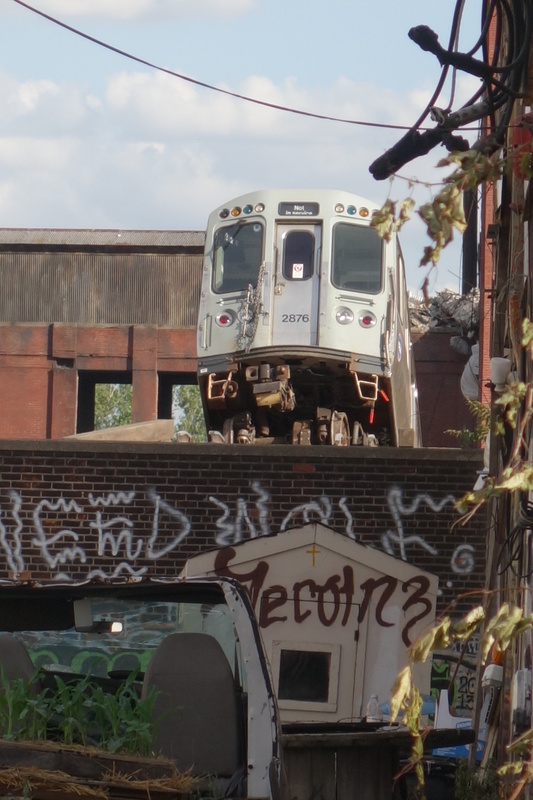 The subway train is the one that you can see Isabella Moner running through in one of the movie trailers. 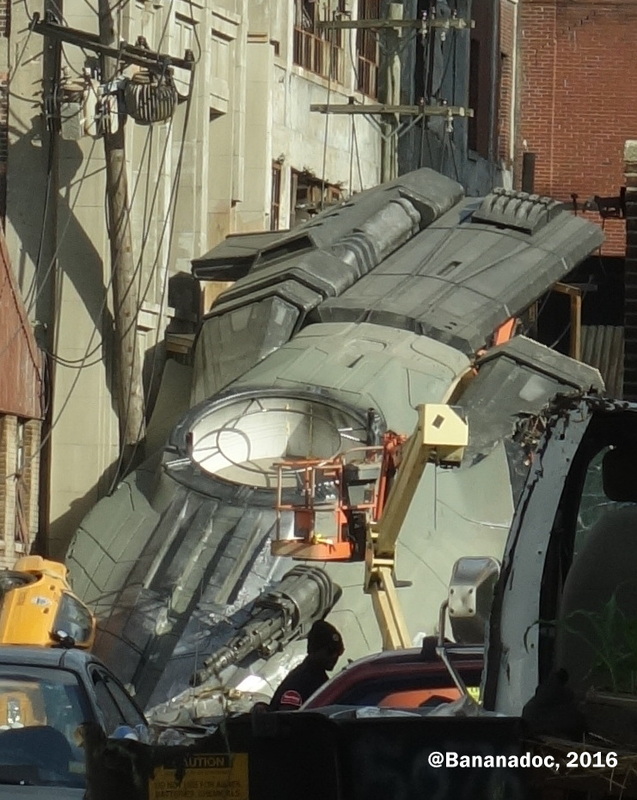 Then if you look closer in the bottom left corner you can see this awesome plane/spaceship thing. 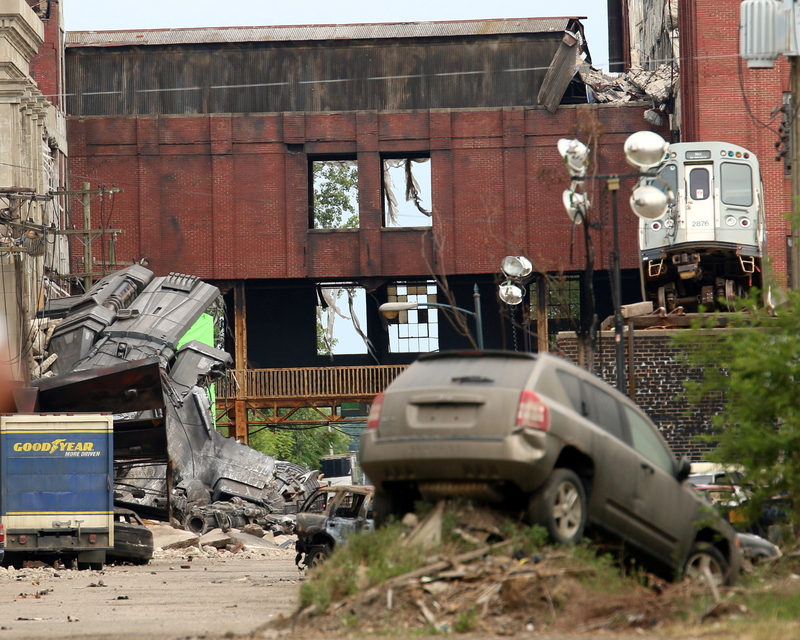 I wish it had been possible to watch some of the filming at the Plant, but alas that was not to be. 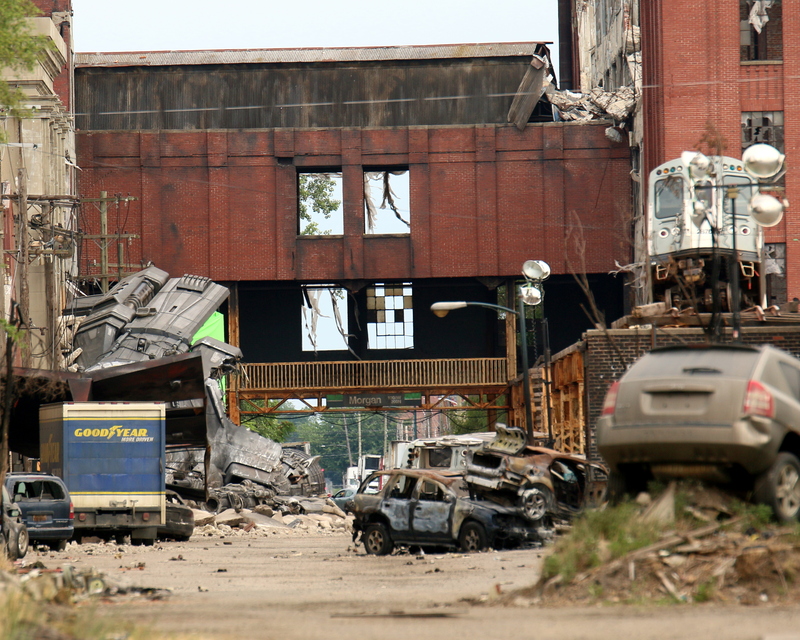 Coming next, more action from the set on the backlot of the Michigan Motion Picture Studios in Pontiac. Pretty cool. One of my friend works near there, I think.